This recipe is sponsored by Pompeian Extra Virgin Olive Oil and all opinions are my own, as always. 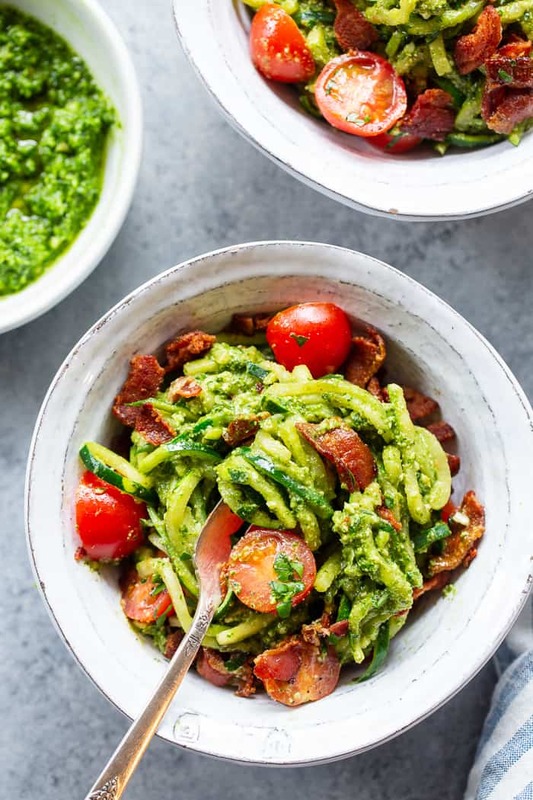 These BLT Pesto Zoodles are packed with savory flavor and crunch! 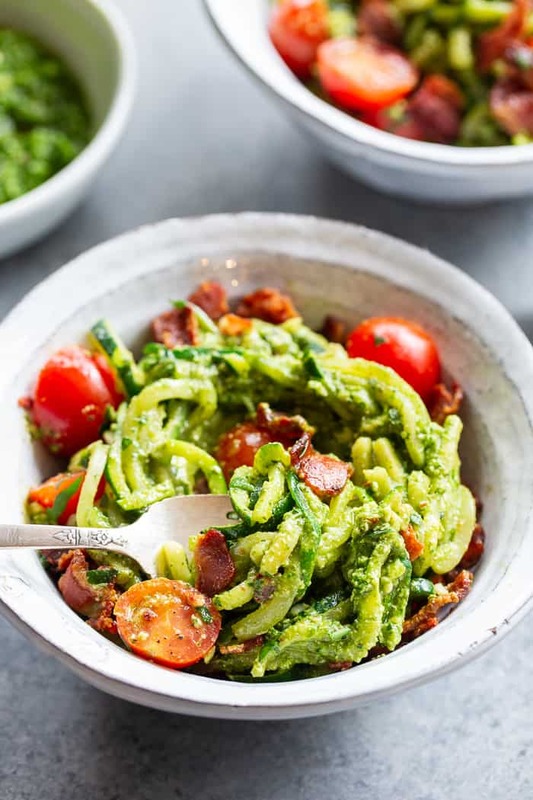 An easy basil pesto plus crispy bacon and tomatoes make these zoodles a favorite for everyone in the family. 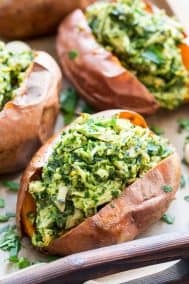 Gluten-free, dairy-free and Whole30 options, and keto friendly. We’ve arrived at the pesto party once again today! And I never want to leave – pesto is definitely one of my favorite things to make. Today is a special one if you happen to be like me and want to put bacon in everything, too, because we’re combining two of the best things ever. That’s right – the BLT combo and pesto – a total match made in paleo heaven if there is one. 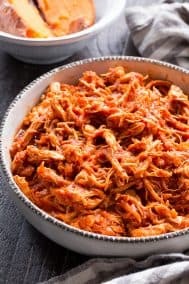 And, we’re tossing it all with zoodles to keep it low carb, too, which has been a big thing around my house lately with Adam still staying true to keto. 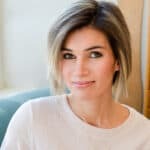 I’m not complaining one bit, because it’s opened up a whole world of keto + paleo possibilities. I’ve been basically either roasting or sautéing veggies and drowning them in fat – in a good way. 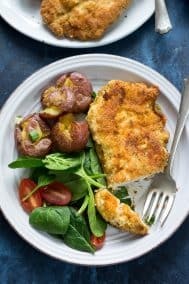 Simple and soooo yummy! And these zoodles are definitely no exception. So let’s start with the pesto. Since it’s not cooked, using a great extra virgin olive oil is the perfect thing to start with to make a flavorful pesto. 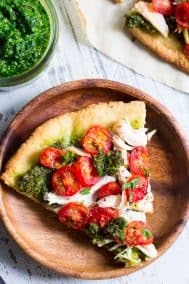 I used Pompeian’s Organic Extra Virgin Olive Oil here and the result was a deliciously rich pesto with all the benefits of extra virgin olive oil. 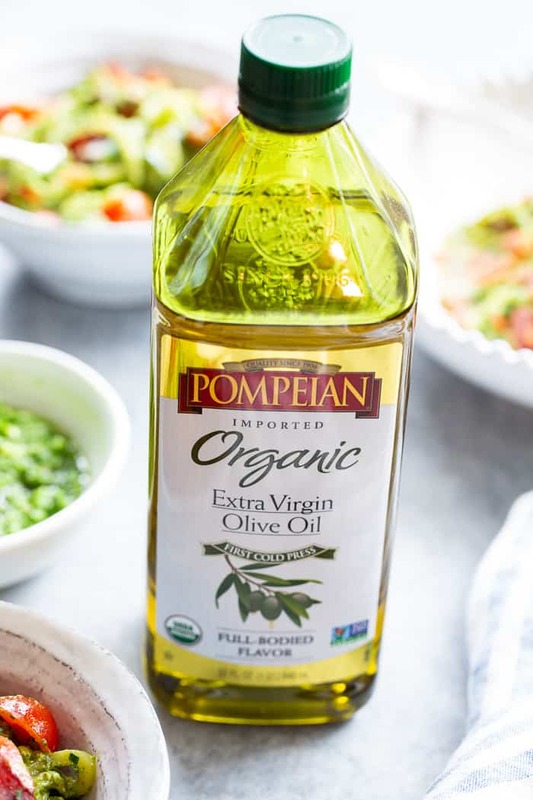 Pompeian’s Organic Extra Virgin Olive Oil is USDA certified organic, ensuring health-conscious consumers of the careful handling and production they treasure. Protection against heart disease by reducing inflammation and oxidative stress, accelerating the repair of blood vessel lining, inhibiting the formation of plaque, reducing cholesterol and lowering blood pressure. 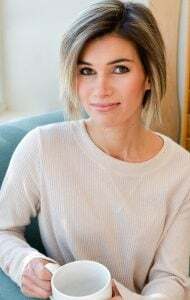 Antioxidant polyphenols, some of which offer powerful health benefits like reducing the damage oxidation has on cells, proteins and DNA and fighting inflammation – a leading cause of cancer. The polyphenols present in extra virgin olive oil may prevent or delay the appearance of Alzheimer’s disease. A decrease in bad cholesterol and an increase in good cholesterol, which helps counteract the burden of cardiovascular disease. The pesto is balanced with lemon, garlic, and of course lots of fresh basil. 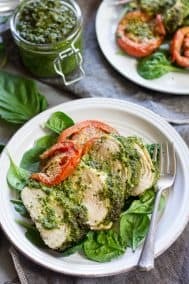 We’re using all basil for this recipe instead of mixing in other greens, but you can sub in some baby spinach if you prefer pesto that way. I used a mix of nuts I had on hand (cashews and walnuts) but you can use any type of nuts you want with good results. 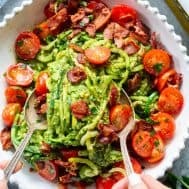 I lightly sautéed the zoodles and then tossed them with everything – pesto, crumbled bacon, and sliced cherry tomatoes. Yes, I took the liberty of labeling this “BLT” even though the “L” is really basil. Or perhaps the zoodles could sub in as the green “L”, if you will. Anyhow, the combination is downright addicting, and I wound up eating the leftovers cold for lunch the next day. This is definitely a combo that’s delicious at any temperature – hot, room temp, cold. 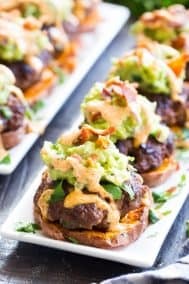 I hope you’re ready for an easy, totally tasty keto treat! 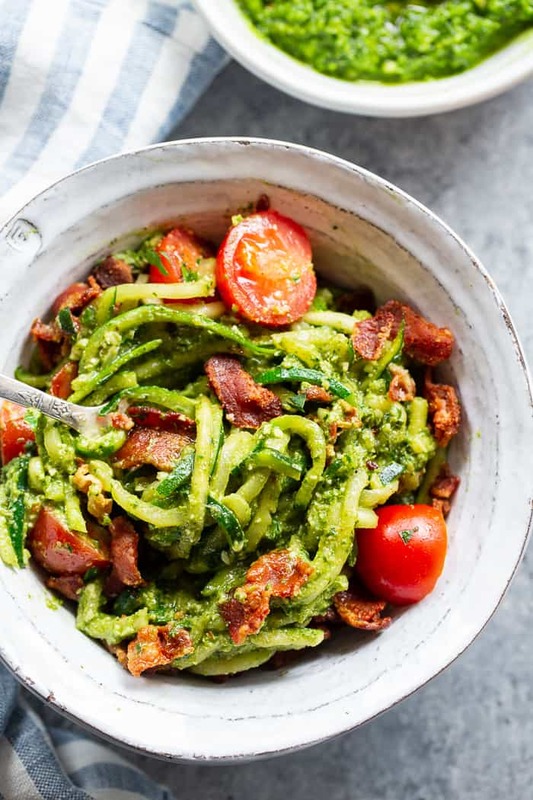 Grab your zucchini, bacon, and of course pesto ingredients and let’s get started! 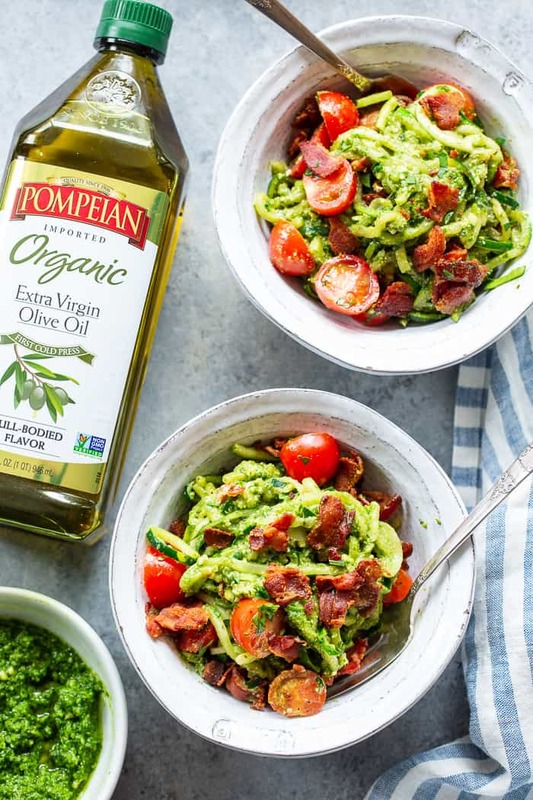 For more information on Pompeian Organic Extra Virgin Olive Oil including where to shop, visit their website. In a food processor or high speed blender, pulse the nuts, garlic, and basil until “chopped”. Add in the lemon juice and parmesan, if using. 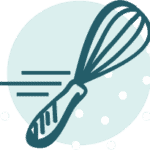 While blending on medium speed, stream in the oil until fully combined, then with the blender off, stir in the sea salt and pepper to taste. Set aside while you prepare the zoodles. Once your bacon is cooked and crisp, leave 1-2 Tbs of bacon fat in the pan to sauté the zoodles. Squeeze out as much water as possible from the zucchini with paper towels. Set heat to medium to reheat the bacon fat. Add zoodles to skillet and toss with fat to coat, then sprinkle with sea salt and pepper. Cook and stir for just a minute to soften and heat through, then remove from heat to a large mixing bowl. Next, add tomatoes to the skillet and sauté until just heated through, transfer to the bowl with zucchini. 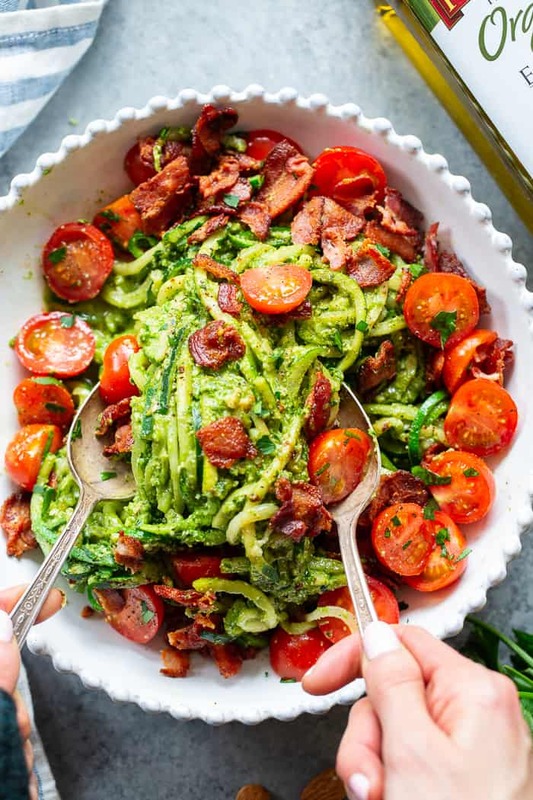 Toss zoodles and tomatoes with the bacon and as much pesto as you like. You can save leftover pesto in an airtight container in the fridge for up to 4 days. Garnish with fresh herbs and lemon if desired and serve right away. Can be enjoyed warm or room temp. Enjoy! 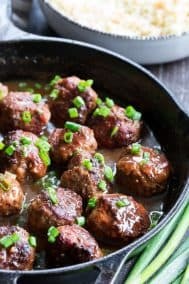 Want More Keto + Paleo Recipes? Try One of These! This looks and sounds so tasty! I love a good homemade pesto! 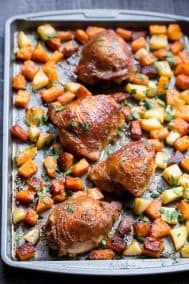 Thanks a lot for the good recipe and I will try it in my kitchen. Thanks a lot for the given article in the support of the readers.